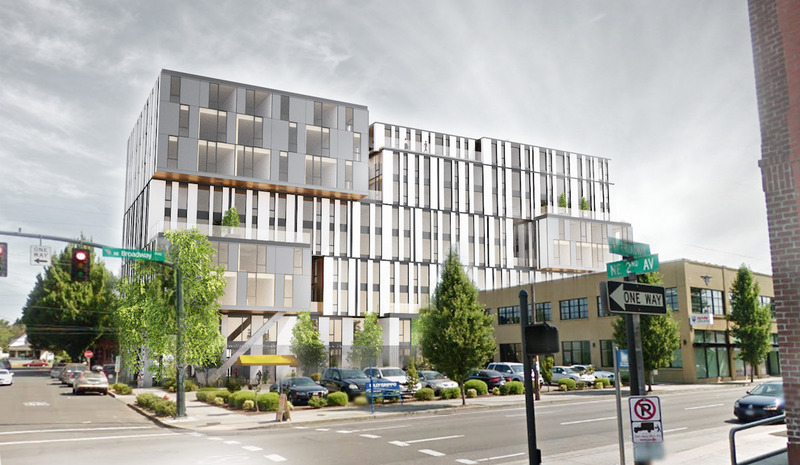 The Design Commission has approved two options for a building at 1732 NE 2nd Ave. The project by Works Progress Architecture will be either 6 or 9 stories tall, and will be constructed out of pre-fabricated modular units. 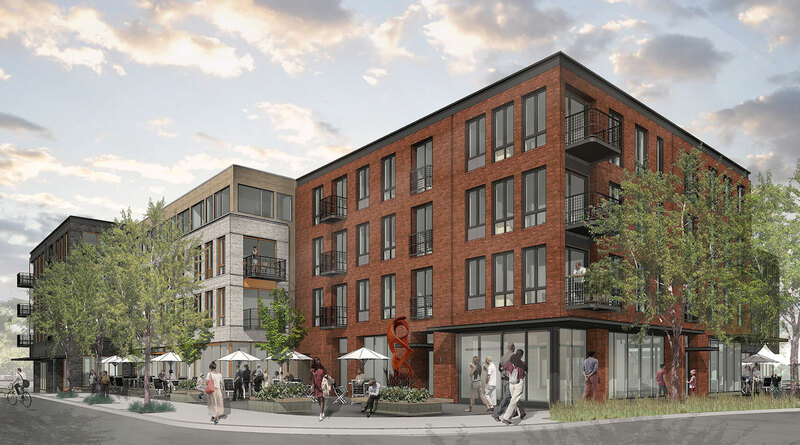 Both options would include approximately 10,000 sq ft of double-sided ground floor retail, facing both NE Schuyler a new mid-block pedestrian only alley. Works Partnership have received Design Advice for a proposed mixed use building at 1732 NE 2nd Ave. The architects intend to use nail-laminated timber for the 9 story building, which would add the building to the small but growing number of high rise wood buildings proposed in the US. 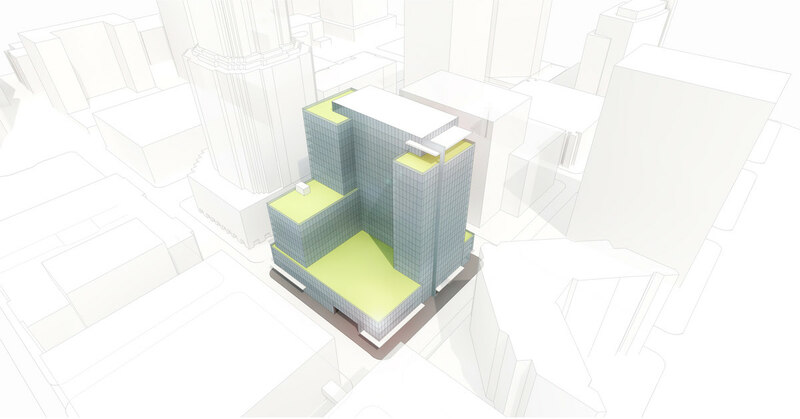 At a height of 99’-10”, the project would be just shy of the 100′ height limit for the site. 141 residential units are proposed, above 9,867 sq ft of ground floor retail. Parking for 104 cars would be provided in a below grade garage.